Are you ready to improve your Omnidex skills? Consider hosting an Omnidex class in your company. Training is available in 1-day, 2-day and 3-day formats that will teach your team how to use Omnidex and also help create and tune your application. Instructors know how to deploy Omnidex in real-world, production environments and are skilled at integrating in complex environments. Let us know if we can help! Are you already trained and experienced in Omnidex? 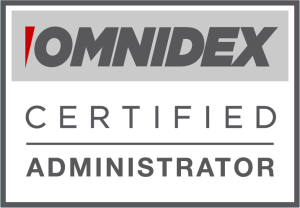 Would you like to be recognized as a Certified Omnidex Administrator? This certification will show that you have the skills to create, administer and tune Omnidex databases of all sizes. The exam for Certified Omnidex Administrators is available at no charge for customers with a current support contract. The exam is also available to anyone else for a fee of $299.